Round, 300ml, D handle stoneware coffee mug with a thermo-chromic coating which is branded with a full colour wrap around sublimation print. Your logo "appears magically" when hot liquid is added and disappears again as the mug cools after use. 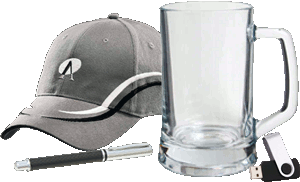 A novel promotional product that is guaranteed to be the centre of attention. The black thermo-chromic coating can be overprinted but this print cannot be registered with the full colour sublimation print. Hand washing is recommended.